Made in Alcoy Spain by the same people who bring you RAW Papers. Natural Hemp Papers with Blueberries printed on with a natural Soy Ink. Triple Dip system make them the most flavoursome papers you can buy. Each booklet is Individually wrapped for freshness. 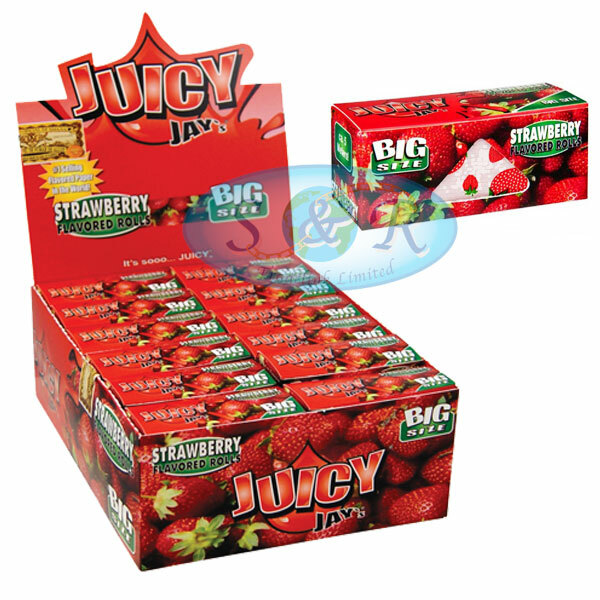 Juicy Jay's now come in a range of sizes and weights of paper, also flavouring Drops and Thai Incense sticks.